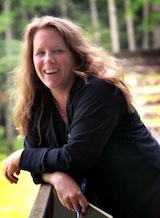 Maureen N. McLane is the author of World Enough: poems (FSG, 2010) and Same Life: poems (FSG, 2008). Her VQR essay on H.D. is from her book of experimental prose, My Poets, forthcoming from FSG in June. She is an associate professor and director of honors in the Department of English at New York University.